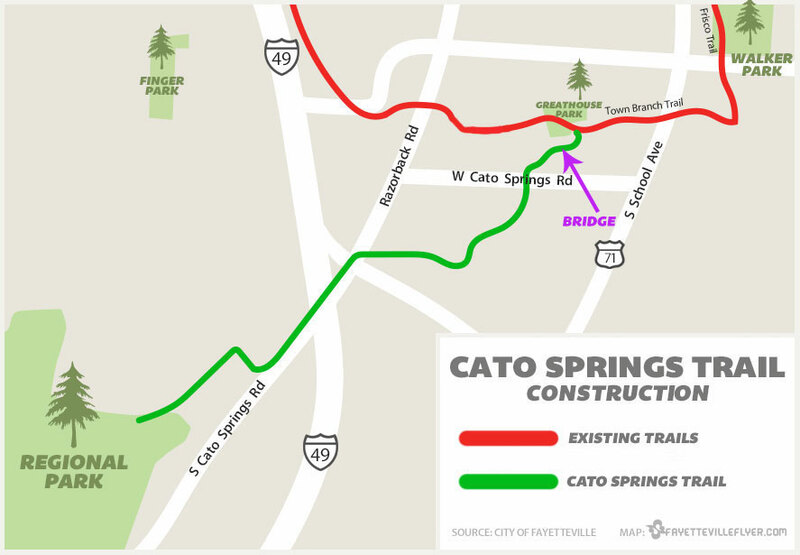 Two new pieces of infrastructure are now in place on the new Cato Springs Trail in south Fayetteville. 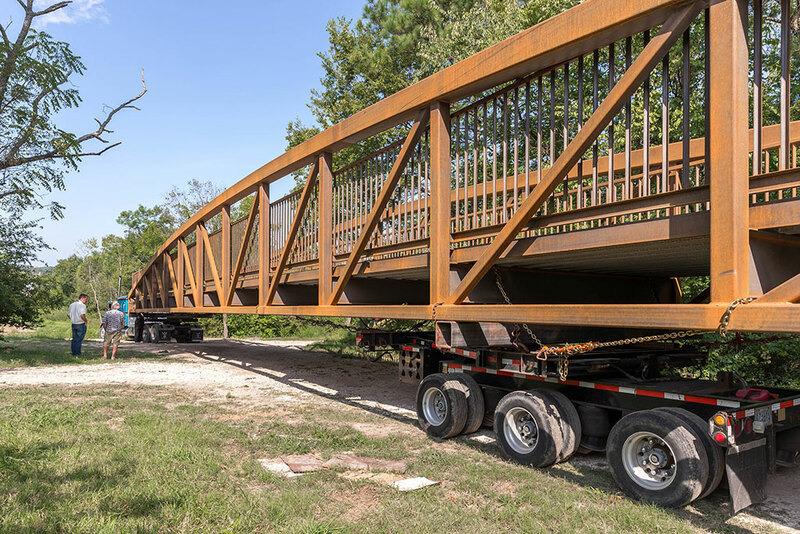 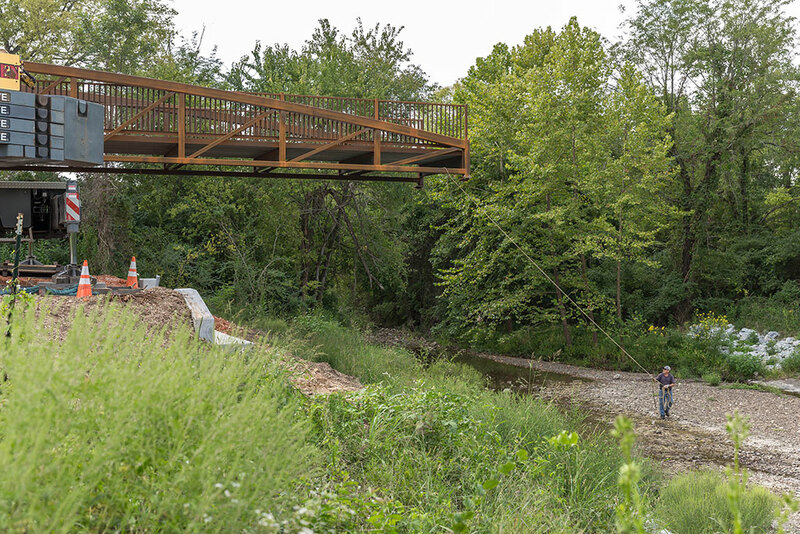 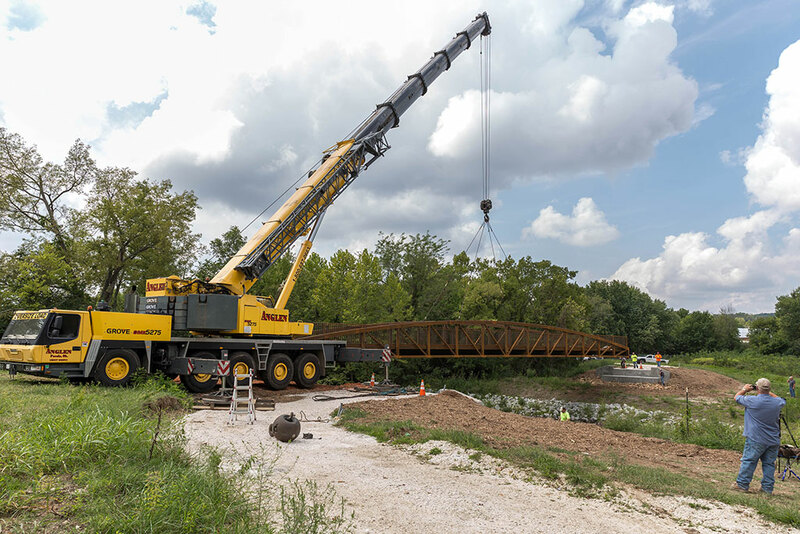 A bridge was installed Wednesday over Cato Springs Branch as part of the project that will eventually provide trail users with a direct route to the new Kessler Mountain Regional Park. 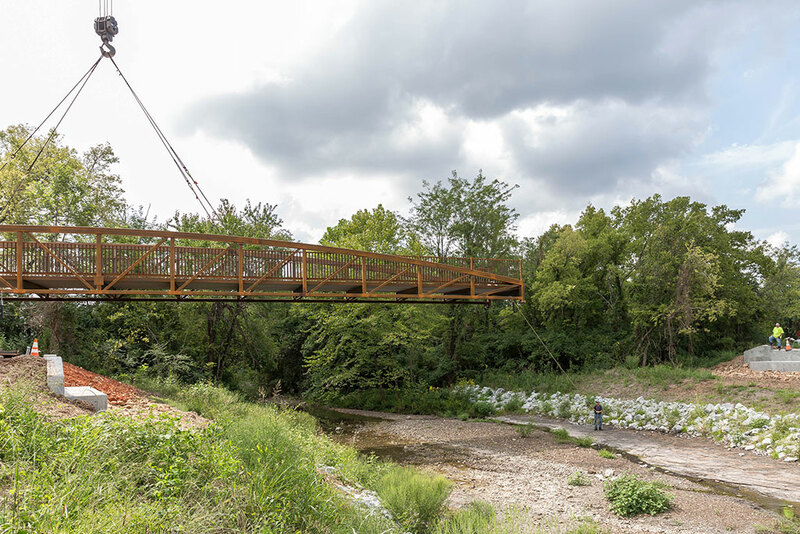 At 130 feet long it’s the largest bridge in the Fayetteville trail system. 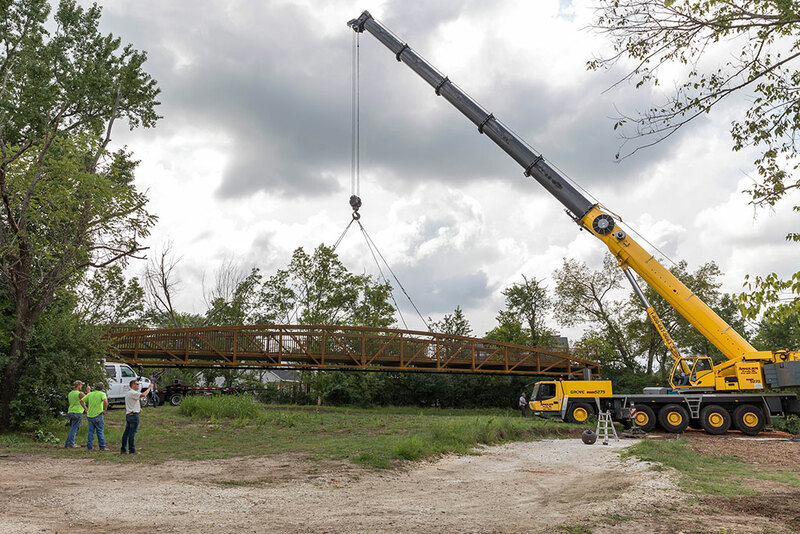 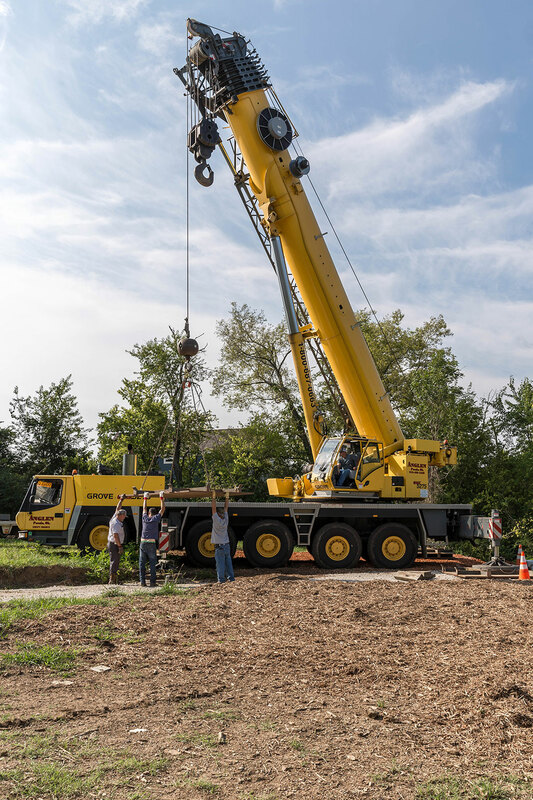 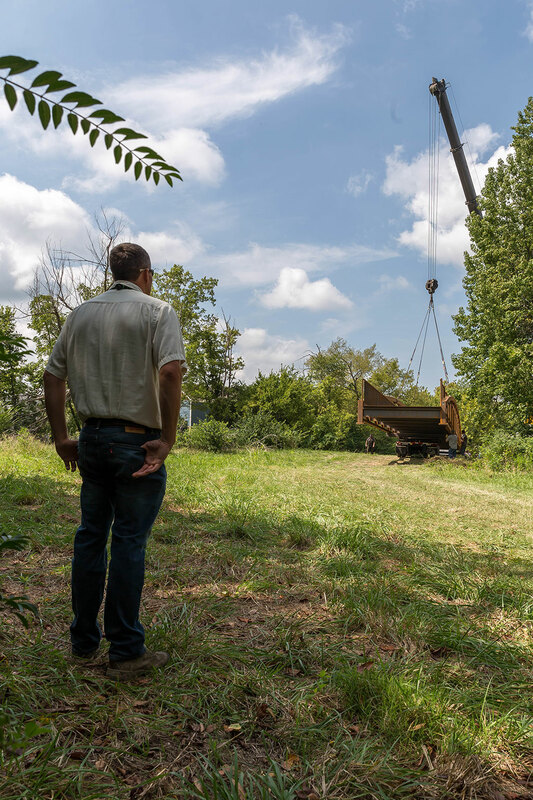 Matt Mihalevich, the city’s trails coordinator, watched Wednesday morning as crews prepared a crane to lift the 53,000-pound bridge into place onto concrete supports on each side of the stream. 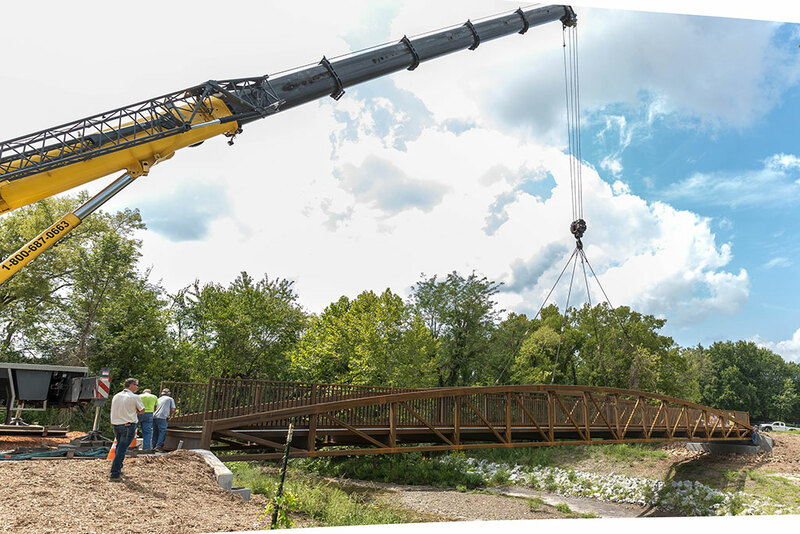 In fact, the project is two steps closer to completion than when we last checked in. 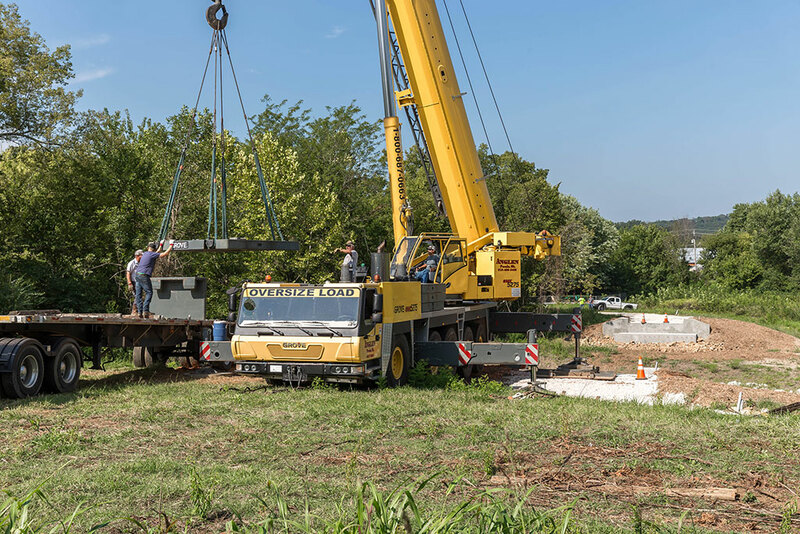 A crew worked earlier this month to install a tunnel under Razorback Road near the Interstate 49 interchange at Exit 60. 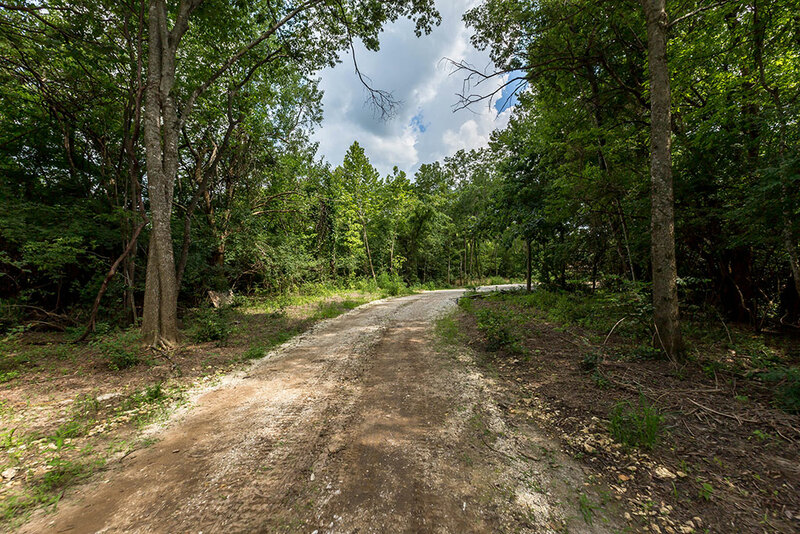 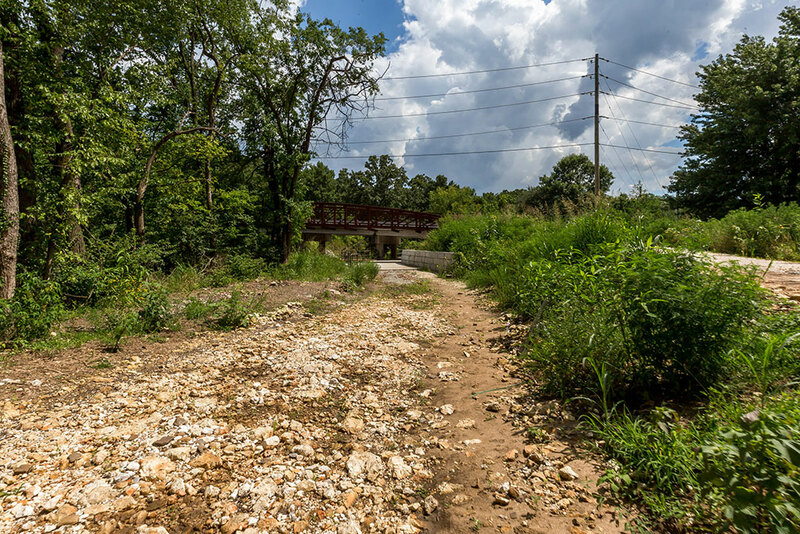 Once complete, the 2.7-mile stretch of trail will tie into Town Branch Trail near Greathouse Park, and follow the Cato Springs Branch southwest towards the base of Kessler Mountain. 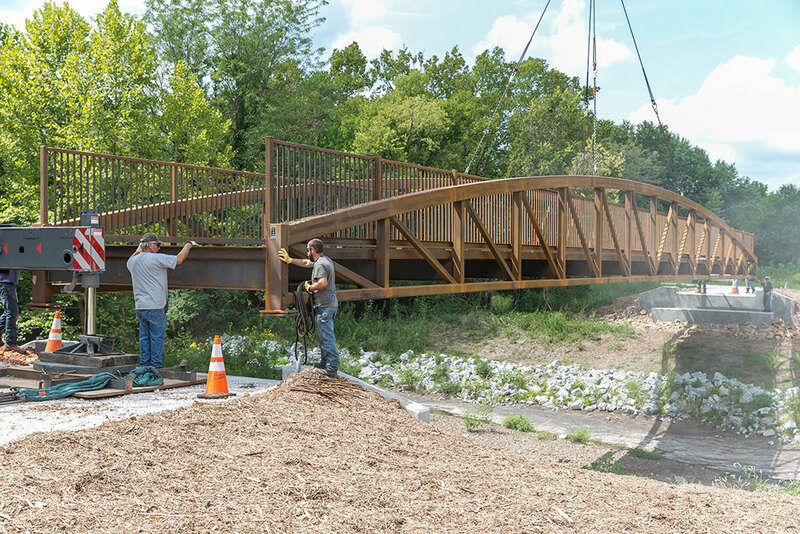 The work has come in several phases, with city crews responsible for about 1.7 miles of pathway. 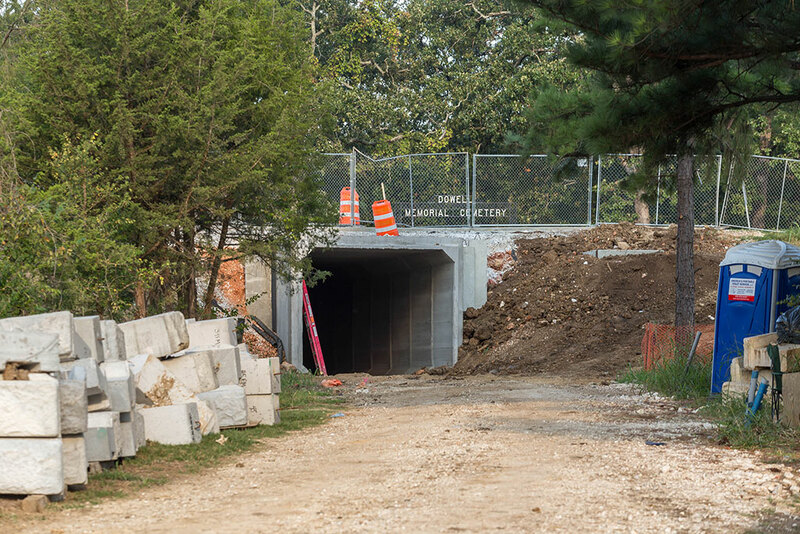 Private contractors are in charge of another mile of trail, including the tunnel under Razorback Road and a side bridge on the overpass at the Fulbright Expressway. 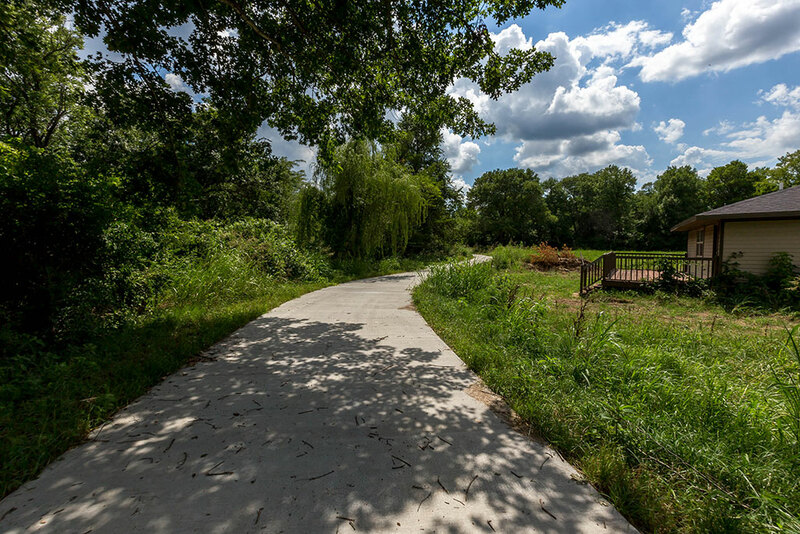 Funding help for the project comes from the Walton Family Foundation, who donated $150,000 toward design costs as part of a plan to extend the 37-mile Razorback Greenway to the new regional park. 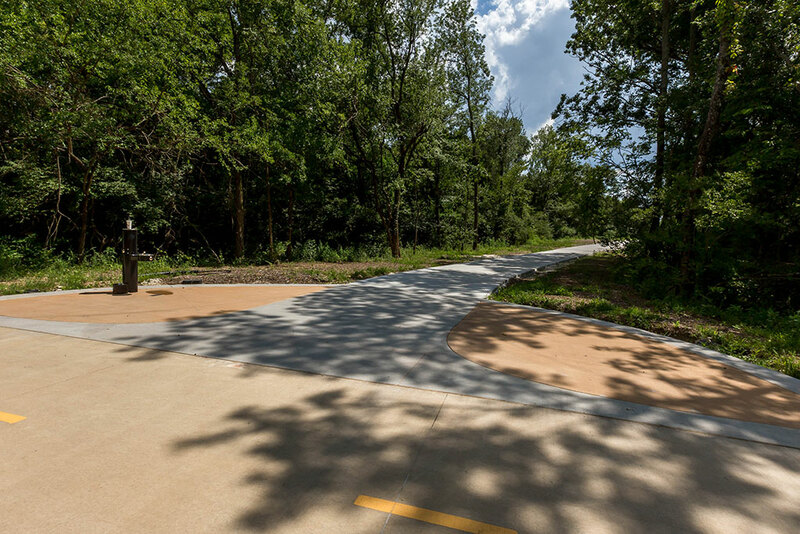 The foundation followed that grant with $2 million in matching funds for construction of the new trail. 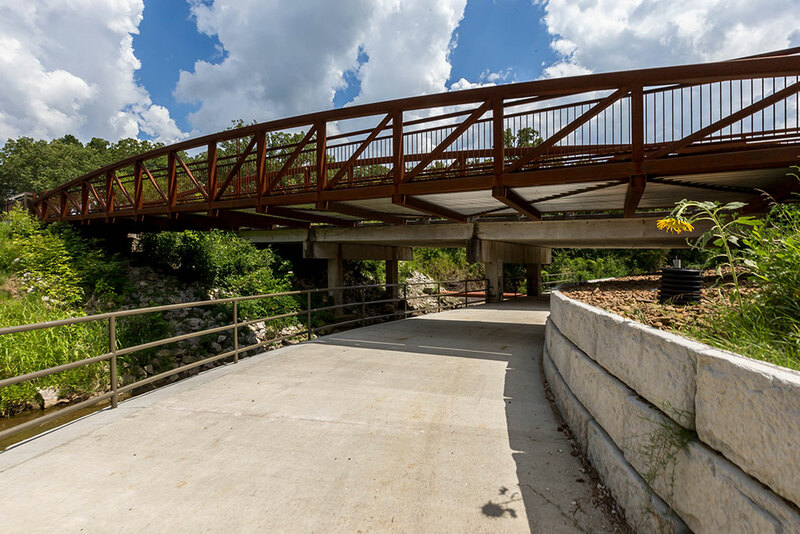 The remaining $2 million needed came from the city’s trail development capital improvement program. 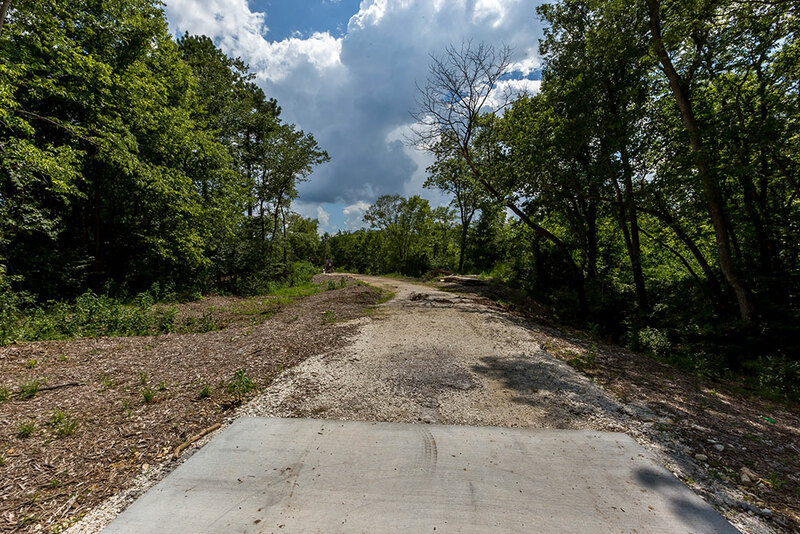 Mihalevich said if all goes according to plan, the new trail will be open late this year or early 2018.